C.J. Polychroniou: We live in a period of massive environmental disturbance, such that it has led to the claim that we are no longer in the Holocene epoch but instead in the midst of the Anthropocene era. Assuming that this claim, popularized in the West by the atmospheric chemist and Nobel laureate Paul Crutzen, is scientifically correct, to what extent can economic growth itself be blamed for the catastrophic effects of human activities on the environment, including influencing the climate by burning fossil fuels, cutting down rainforests and farming livestock? To speak of economic growth as a principal problem, and of the need for a steady-state economy as a solution (while acknowledging that development is still necessary in poor countries), immediately raises the specter in people’s minds of the end of human progress. However, we should be careful not to identify economic growth, as that term is used today, with human advancement as a whole. Economic growth was deified in the 1950s, following the introduction of national income accounting during the Second World War. The system of national or Gross Domestic Product (GDP) accounting is rooted in capitalist notions of value added, profit and accumulation. It accurately reflects the logic of capital accumulation but it is far removed from growth in the wider sense in which people usually think of it. This can be understood by looking at some of the details of GDP measurement. The work of subsistence workers in agriculture (or women working in the household) is not included in GDP since their production is outside the commodity market. If an oil tanker hits an iceberg causing an oil spill, GDP increases, due to all the cleanup costs, insurance payments, and lawyer fees. However, there is no deduction in GDP for the effects of the oil spill on the environment. Social and environmental costs, in this sense, are treated as “externalities,” that is to say, they are excluded from national-income accounting. The growth of a forest adds nothing to economic growth. 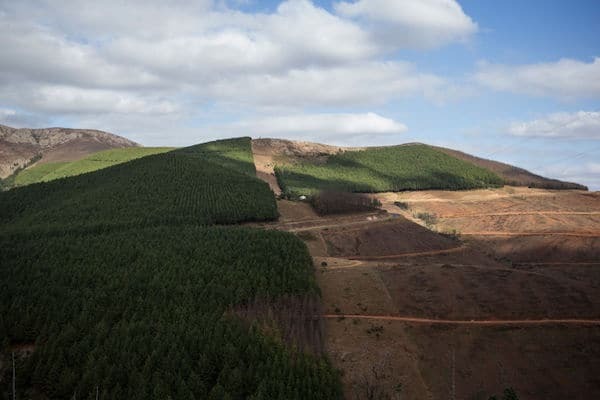 But the cutting down of the same forest (viewed as so many millions of board feet of standing timber) for sale on the market counts as growth. A war that kills millions drives up economic growth, and leads to faster growth afterwards because of the need to replace capital destroyed. The lives lost in the war, however, count for nothing in economic growth terms. The consumerist strategy—that is, the idea that we can in effect do good things for the environment and bring about overall social and economic change—is probably hopelessly romantic, at least for those of us who subscribe to the materialist view of history. The question, then, is this: What is needed to ensure that we can go on improving the standard of living without causing harm to the environment? There are a lot of reasons to reject such views. First, power in the capitalist economy rests on ownership and control of the means of production, not with the consumer. Second, if all the household waste in the United States going into municipal landfills were eliminated this would only take care of about a small portion, maybe as little as 3 percent, of the total solid waste generated in the economy, the rest occurs in the realm of production under the aegis of corporations. Third, John Kenneth Galbraith’s The Affluent Society pointed to what he called “the dependence effect”: What is consumed depends largely on what is produced. Fourth, over a trillion dollars are spent per year in the U.S. economy on marketing with the object of getting people to buy things they neither need nor want. Fifth, the sales effort has penetrated into the production process to such an extent that there is little distinction nowadays between a product and its brand image. Sixth, the enormous surveillance system in the private sector organized around the Internet is mainly a means of manipulating consumers. All of this suggests that gaining political control over production is essential if the tendency toward environmental devastation (together with the exploitation of labor) is to be surmounted.